Earlise C. Ward, a leader with years of experience in both health care and helping the community, will become the next director of the Morgridge Center for Public Service. Ward, an associate professor in the School of Nursing, will begin her new role in January 2019. She will replace Kathy Cramer, who stepped down as the faculty director and returned to a full-time position as a professor in the political science department. Lisa Chambers, the associate director, is serving as interim director. Ward has been with the School of Nursing since 2007 and at UW–Madison since 2002. She received her doctorate in counseling psychology from UW–Madison, master’s degree from Brooklyn College and bachelor’s degree from Baruch College. The Morgridge Center connects students, staff and faculty to local and global communities to build partnerships and address critical issues through service and learning. 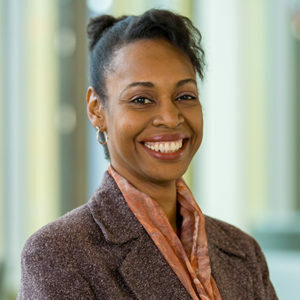 In 2015, Ward was honored as one of the university’s Outstanding Women of Color, an award given to students, faculty, staff and members of the community for their service in areas including social justice, advocacy, scholarly research, writing, speaking and/or teaching about race, ethnicity and indigeneity in American society, and community building to create an inclusive and respectful environment on or off campus. Last June, she received a Baldwin Grant from the university for “Faith and Community in Action: Increasing Awareness and Management of Depression in African-American Communities,” a project she is partnering on with Pastor Anthony Wade of Second Baptist Church in Madison and the Centers for Disease Control. Ward will develop a community faith-based depression class in Dane County that will involve 50 African-American clergy and 24 African-American women age 50. Outcomes will focus on implementation strategies, increased knowledge of depression, healthier coping behaviors, and satisfaction. The project draws upon her years of experience working toward reducing the stigma of depression. “We’re thrilled to have a faculty member of Earlise’s experience and evident commitment to community engagement as the next director,” says Provost Sarah Mangelsdorf. As Morgridge Center director, Ward will be responsible for ensuring that the center successfully pursues its mission to promote civic engagement, strengthen community-based teaching and learning, and build and support collaborative community-university partnerships through public service, service-learning, community-based research and engaged scholarship. While the MCPS has campuswide responsibilities, its administration and director’s reporting line run through the dean of the School of Education, who serves as a representative to the provost to oversee the center on behalf of the university. The Morgridge Center was founded in 1996 with the generous support of alumni John and Tashia Morgridge. Its mission is to connect campus and community through service, service-learning and community-based research to build a thriving democratic society.